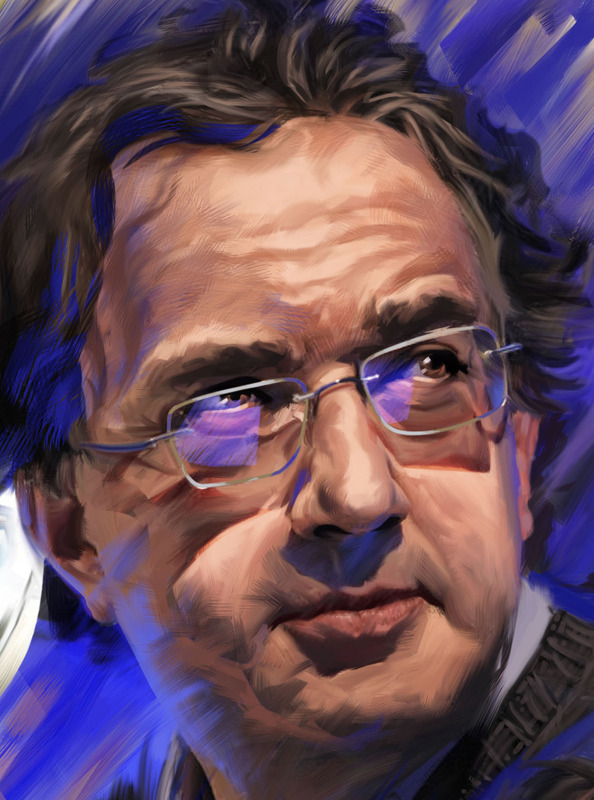 This project features a series of three portraits of Chrysler CEO Sergio Marchionne. 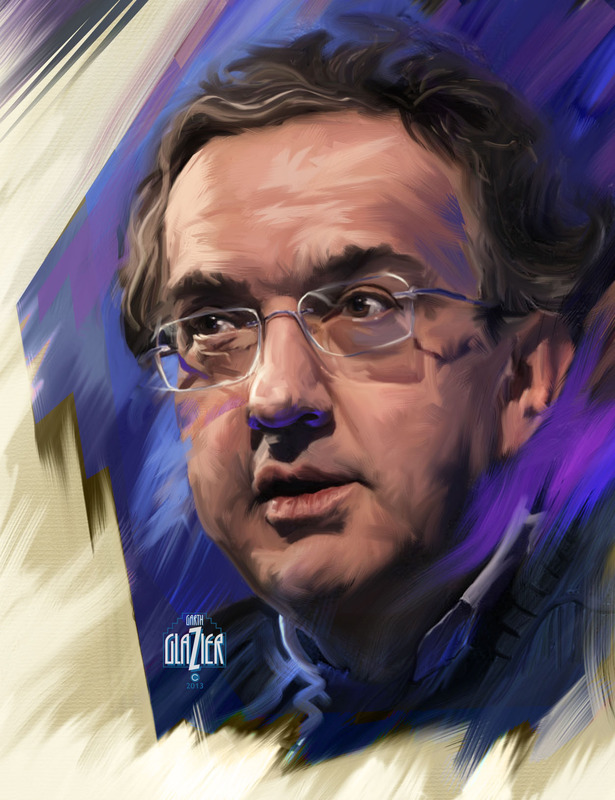 This montage of portraits of Chrysler CEO Sergio Marchionne was actually assembled as an idea for a portrait study in 2012. I picked up the rough comp and created this finished illustration in 2013. 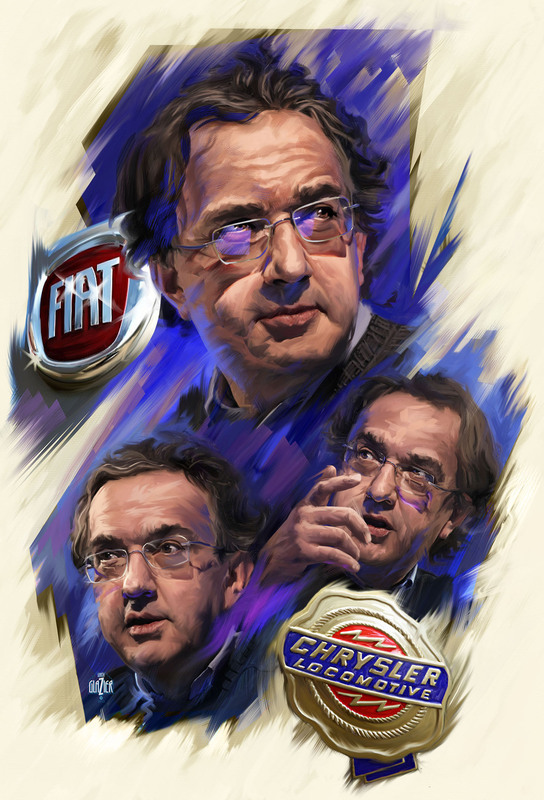 The goal was to convey his dynamic personality and the non-stop nature of his daily life as the head of both Fiat and Chrysler. In this detailt of Sergio's face the cross hatch patten of brush strokes on his face shows a pattern of layering strokes to create an impressionist treatment of the skin surfaces. Each portrait had to stand on its own as well as work with the group. I re-introduced graphic shapes to guide the viewer's eye and frame each face. 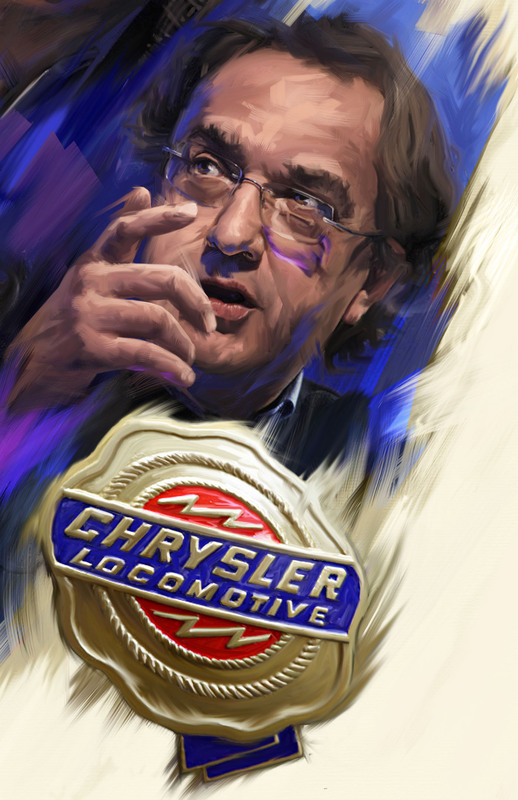 This vintage Chrysler badge seemed appropriate with the word "locomotive" being a subtle metaphor for Sergio Marchionne as a driving force at Chrysler during its recent re-surgence a a company.